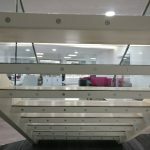 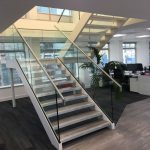 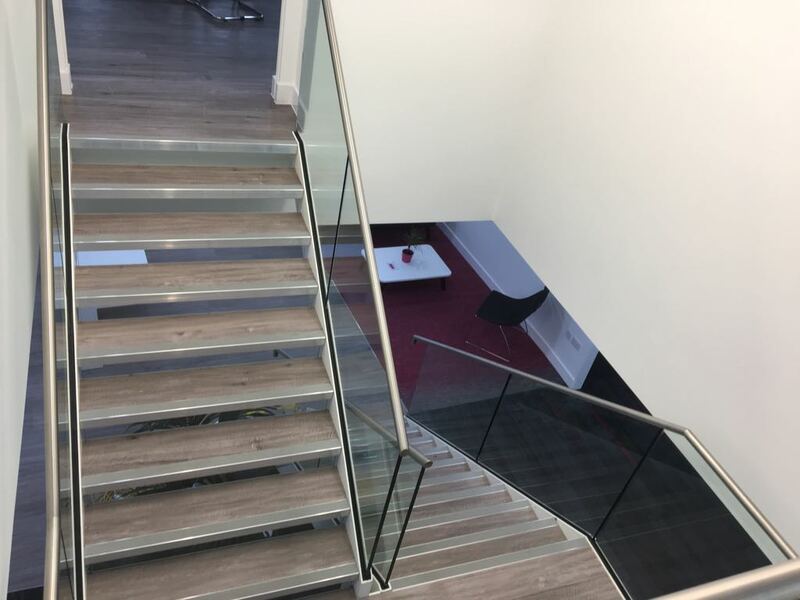 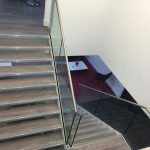 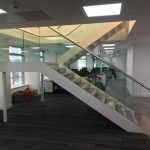 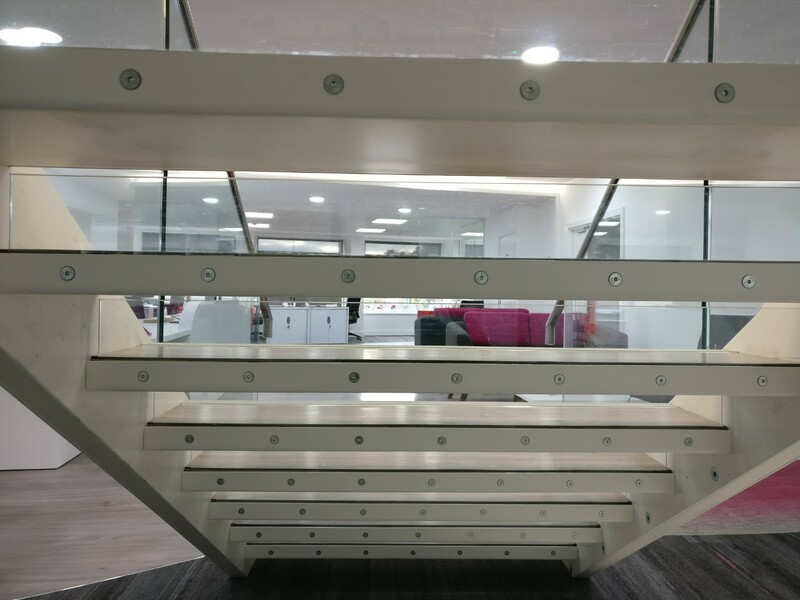 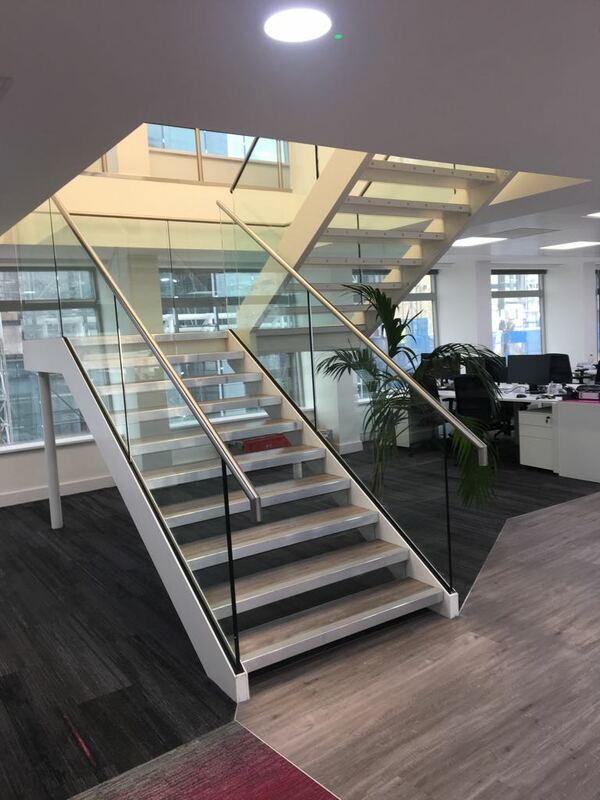 Details: This office refurbishment required a 2-flight steel staircase for its staff and visitors. 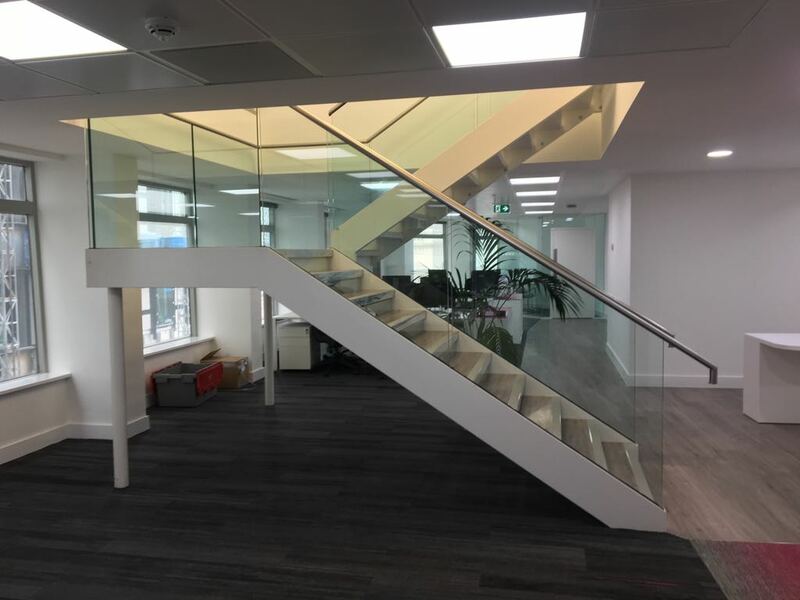 With it being located in the middle of this new modern office, it needed to look the part. 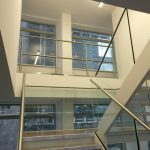 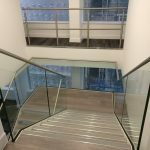 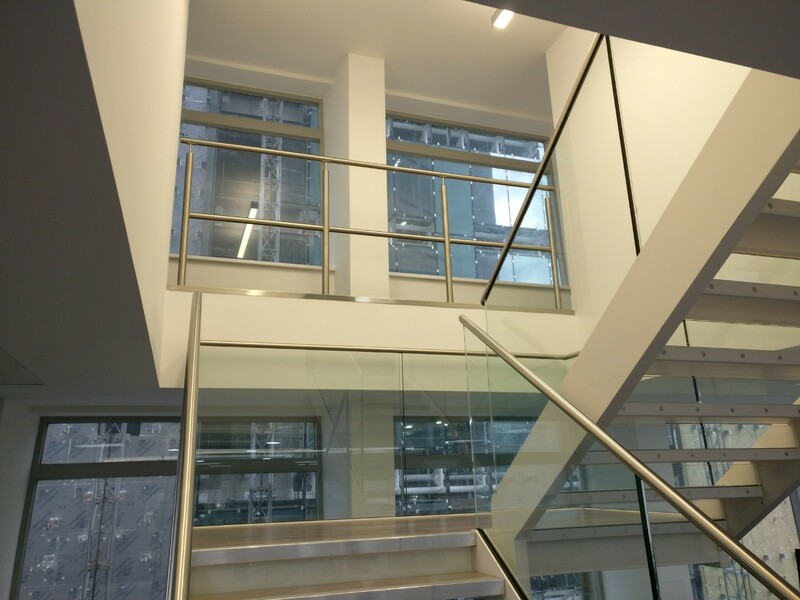 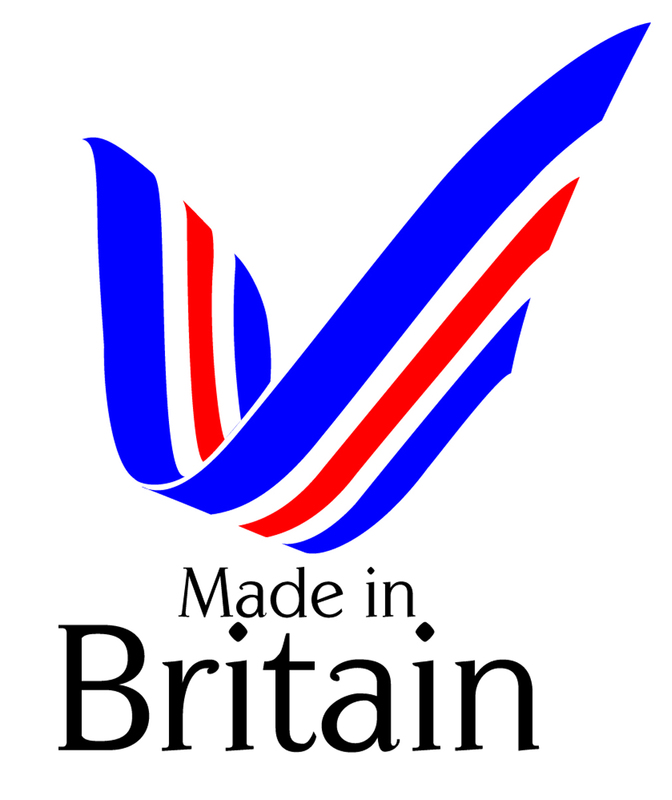 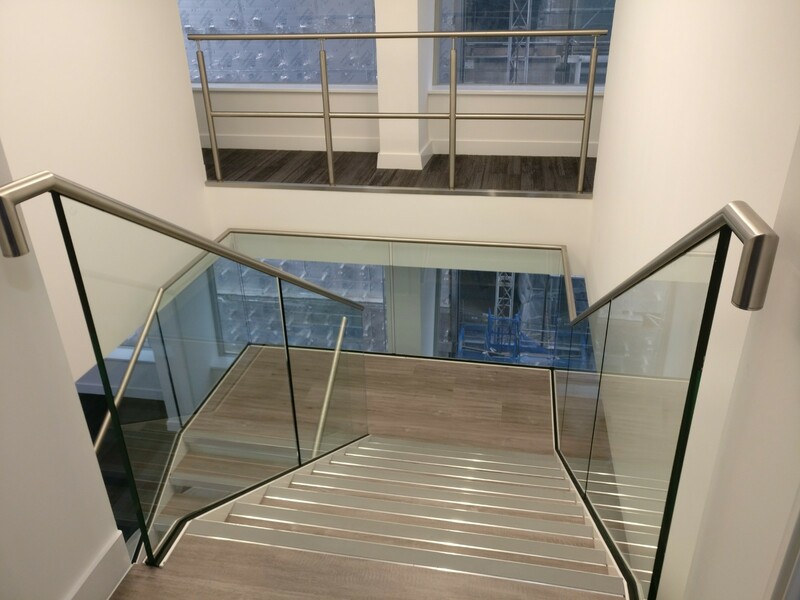 With its crisp white finish and sleek frameless glass balustrade, we feel we achieved this.